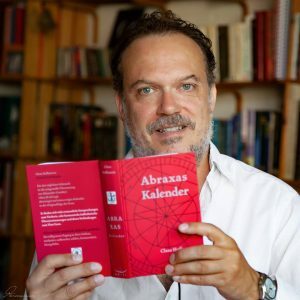 I have worked for many years on the new edition of the Abraxas-Kalender, which connects the Liber AL-Verses with the 365 days of the year. The most astonishing „revelation“ of the new edition is the link between the Liber AL-Verses and the Zodiak. Thus, beside being inspired by a Liber AL Vers every day, with your personal Horoskop you can find the Liber AL-Verses for your Venus, your Jupiter and the other planets. because the calendar shows Crowleys handwriting for the verses for every day and also the Liber AL Vers-number for every day. If you can read the astrological symbols of the planets and starsigns, you will also know in which of the 36 astrological decanats you are every day. The Abraxas-Kalender is an inspiring fountain of synchronicities. The new Abraxas-Calendar was published by ARAKI in Leipzig, Germany. 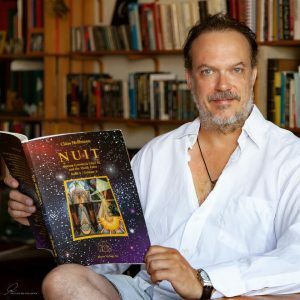 do you know my book „NUIT – Aleister Crowleys Liber AL and the Thoth Tarot“? illustrating the first chapter of Crowleys Liber AL vel Legis. the book also contains a unique explanation for the spiritual link between Anthroposophy and Thelema through the sun. The book is bilingual in english an german, it is in full colour and has 183 pages. 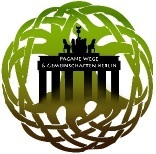 through the german KC-Verlag or via Amazon. I wish you all a beautyful summer!